You should NOT approach seals within 20 meters at all times. Do NOT disturb seals by making loud noise or throwing objects toward them. Always keep dogs and small children under control and away from seals. Avoid contact with seals at ALL times. Seals can be aggressive and their bites can be disease-ridden. You can also catch diseases from their coughs, barks and sneezes, all of which are common behaviour. Do NOT feed any seal. The above rules should always be followed at all seal/sea lion colonies in New Zealand, as well as in presence of any other species of pinniped (seals) observed. The pinniped species found in NZ are NZ fur seals, NZ sea lions, elephant seals and leopard seals. Update Nov 2016: Due to the destructive earthquake in the central South Island region that has destroyed the SH1 coastal road south and north of Kaikoura, the Ohau Point Seal Colony area is no longer accessible. Do NOT enter the seal colony by stepping onto the rocks from the carpark platform. Always view seals from the carpark platform only. Not many seals may be visible from the carpark sometimes, and people illegally entering the colony would be to blame for this. If you’d like more seals to be visible from the allocated viewing location, respect their space and stay on the carpark platform. Do NOT enter the water at the Ohau Stream. Do NOT make loud noise at the Ohau stream, especially if you would like to see more seal pups. Seal pups WILL hide in the presence of loud noise, and especially in the presence of large groups of humans. Ohau Point Seal Colony has quickly become a very popular tourist spot, due to the attractiveness of the ability to view seal pups close up in a beautiful environment unusually inhabited by seals. Please make sure to respect the seals as they are completely wild animals, always give them space. Do not attempt to touch any individuals, even the pups have strong teeth and a very strong biting force (Most pups definitely will try to bite if touch is attempted). 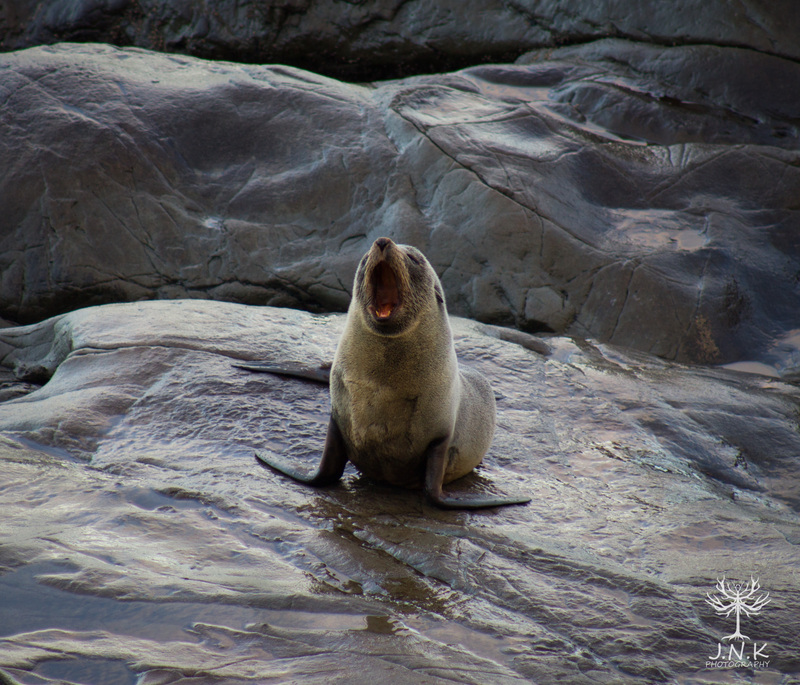 Enjoy your visits to fur seal colonies, but please allow the seals to enjoy their resting and playing time too.